You all know the saying, yelled on Little League fields across the country, “A walk’s as good as a hit!” What if I were to say that in some situations, a walk is not only as good as a hit, but it is actually better than a run? Imagine standing out in 43-degree weather for 30 minutes. Imagine waiting for some action on the field as three batters walk and another is hit by a pitch. Now imagine it’s the first inning when all this goes on. 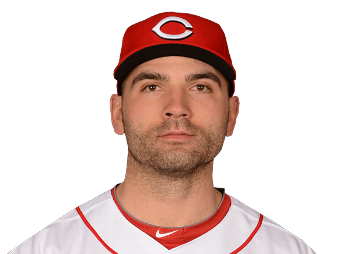 It’s what the Cincinnati Reds dealt with behind their starter, Alfredo Simon, as he threw 49 pitches in the opening inning against the Chicago Cubs in the latter team’s eventual 9-2 win Wednesday night. Forty-nine pitches and he didn’t even last long enough to record three outs. 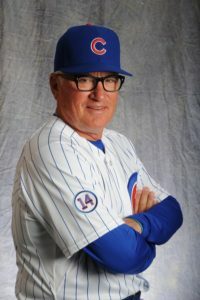 The Cubs have established themselves as a relentless offensive team, and it took all of 10 days to establish that identity. Situation: Top of the first inning, runners at 1st and 3rd, nobody out, score 0-0. 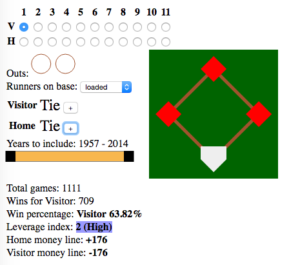 At this point, the team at bat has a 57.87% chance of winning the game, according to Win Expectancy. Outcome 1: The batter lofts a sacrifice fly to score the runner at 3rd, and the runner at 1st has to stay put. So now you have 1 out, runner at 1st, and the score 1-0. Outcome 2: The batter walks. Now you have bases loaded, no outs, but the score remains 0-0. In which outcome does the batting team best improve its chances to win the game? Most would intuitively think the first scenario, as the team scored a run. But according to Win Expectancy, in Outcome 1, the batting team now has a 56.06% chance to win the game; by making an out, even though it scored a run, the team’s chances of victory actually decreased. In Outcome 2, the batting team improved to a 63.82% chance of winning! So by not making an out, even though it didn’t bring in a run, the team increased its chances of winning by almost 6%. A quick note about Win Expectancy. I ran these numbers using the cool Win Expectancy Finder tool. It finds all the times the exact “game states” happened from 1957-2014 and sees how often the team in question actually won the game in that game state. Of course such a statistic isn’t perfect: it doesn’t take into effect all the details of the specific situation: who the next batter is (it might be Bryce Harper or it might be Brad Miller), who is pitching, etc. But with the the depth of games included (over 115,000), it aggregates almost every situation you can imagine. So why is not getting out even more important at times than scoring a run? In baseball, there is no clock – a game can last, theoretically, forever. A team could just keep scoring, and scoring, and scoring. There is only one thing that limits the length of the game – outs. Each team has a finite number of outs (27) they can make, and once they have made 27, they can no longer score. As long as batters avoid getting out, a team has an opportunity to score an unlimited number of runs. I don’t get no stinkin’ outs! 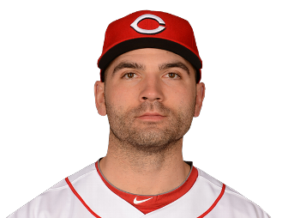 As a Cincinnati Reds fan, of course I’m aware of the poster boy for the importance of not getting out: Joseph Daniel Votto. The Reds 1st baseman has made it his mission to not get out when he is at the plate, no matter the situation. He is perfectly fine with taking a walk, even if there is a runner at 3rd base in a close game. He refuses to sacrifice an out in order to score a run. For many old-school fans, this comes across as selfish. In fact, it is the very opposite. By not getting out, he may not get to increase his RBI total, but he is helping his team win. For this he has been mercilessly criticized by many fans (led by Marty and Thom Brennaman), but if I’m his manager, I would thank him each and every day for putting the team first. In the game of baseball, the team which scores the most runs wins. However, the team that is hardest to get out is almost always the team that scores the most runs. Thus, if you want to win, your hitters’ first priority should be: don’t get out!